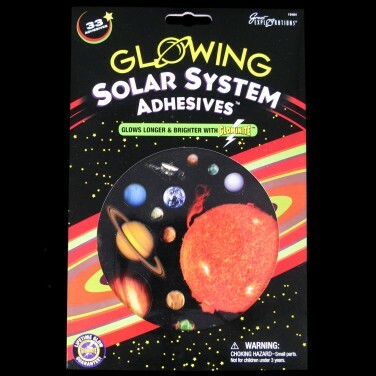 A sticker sheet filled with the planets of our solar system and more besides, these glow in the dark solar system adhesives are made with "Glowminite" and so glow brighter and for longer than usual glow in the dark stars. 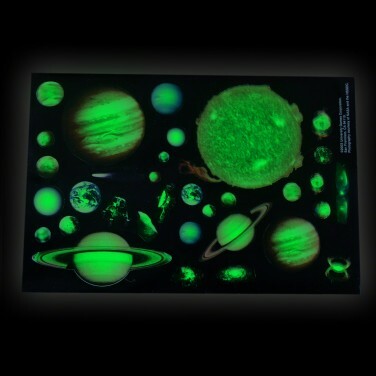 With 33 stickers to play with, you can create your own solar system on bedroom ceilings and walls that glow in the dark! Simply place the stickers, allow them to charge in the light and they will glow brightly at bedtime. Bring the captivating beauty of the night sky indoors and let the glittering light show from the LED Galaxy Light soothe your child to sleep.